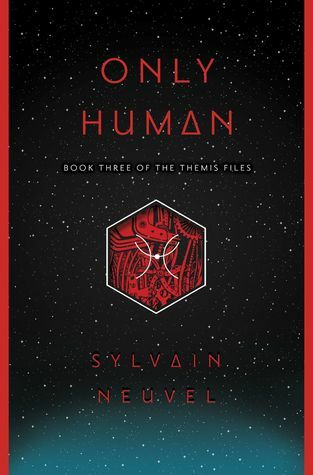 I’m currently reading Only Human (Themis Files #3) by Sylvain Neuvel. This has been a phenomenal sci-fi series, and the third book doesn’t disappoint! In her childhood, Rose Franklin accidentally discovered a giant metal hand buried beneath the ground outside Deadwood, South Dakota. As an adult, Dr. Rose Franklin led the team that uncovered the rest of the body parts which together form Themis: a powerful robot of mysterious alien origin. She, along with linguist Vincent, pilot Kara, and the unnamed Interviewer, protected the Earth from geopolitical conflict and alien invasion alike. Now, after nearly ten years on another world, Rose returns to find her old alliances forfeit and the planet in shambles. And she must pick up the pieces of the Earth Defense Corps as her own friends turn against each other. 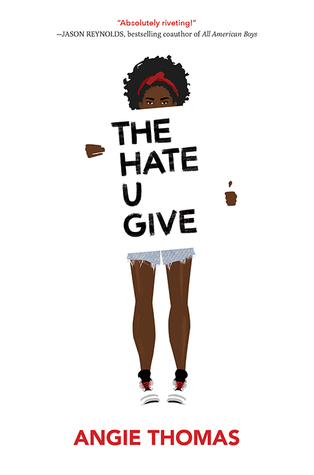 Besides a beta read for a friend (hope you guys get to read it – it was a sweet, refreshing YA romance), I recently finished The Hate U Give by Angie Thomas. I can’t recommend this book enough – relevant, timely, and needed. Next, I’ll read The Hat by C.S. Boyack. Psyched to read this – I’ve seen some stellar reviews for it. Some awesome choices here, Teri. I am reading In the Shadow of 10,000 HIlls by Jennifer Haupt. It is excellent. I want to read The Hat soon. Thanks, Darlene! I’ve read a few of Craig’s books and loved them, so I don’t expect The Hat to be any different. Happy Reading! This is a book I’d recommend to everyone, Merv – an excellent read. Teri, you amaze me. I confess that I’m not a fast reader at all… ad to that zero available time… So I enjoy hearing about what you’re reading. “The Hat” sounds like a hoot. Hugs. I’ve been on a little bit of a writing break, Teagan – in the planning stages for my next one. Plus I spent a couple of hours on a plane this past weekend and I get a lot of reading done then. Hugs! I adored The hate U Give!!! So did I – I don’t possess the words to adequately describe how amazing this book is. Excited that you’re going to read The Hat. Hope it holds up to your expectations. I have no doubt that it will, Craig. I’ve been meaning to read The Hate U Give…and I’m curious about The Hat. Thanks for sharing…and for visiting my blog. Have a great week! 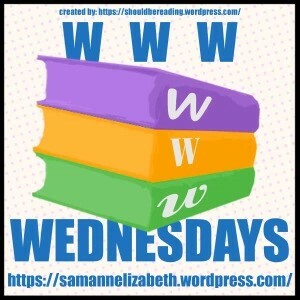 Your should bump it up the TBR, Laurel! 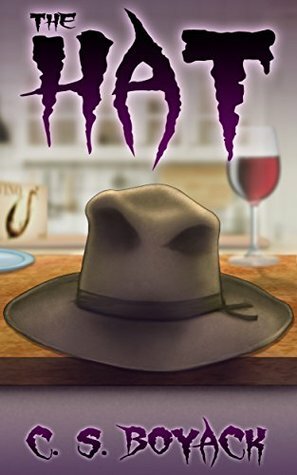 I’ve read a few books by the author of The Hat and they’ve all been fantastic. You’ll love The Hat. Happy reading! Anxious to get to this one, Mae – about 60% through my current read. You’ll love The Hat. A good story. That seems to be the consensus, John. I’ve heard so many great things about The Hate U Give. I’m glad you liked Only Human.I’ve never heard of it. The Hat reminds me of the sorting hat in Harry Potter. I hope you enjoy that one! Have a great day! Thanks, Jackie! The Hate U Give definitely lives up to the hype. I have read so many good reviews on The Hate you give. Glad you enjoyed it. Have a great week ahead. Looking forward to the weekend – thanks for stopping by! I love sci-fi, Only Human and the series it belongs to sounds intriguing. I love the simpilcity of the cover too. Sci-fi is something we definitely have in common. You’re right about the three covers – simple in blue, yellow, and red, but attention-grabbing. You won’t regret moving THUG up on your TBR. With Neuvel’s series, I wouldn’t classify it as hard sci-fi, more light approaching medium, if that helps. The Hat sounds like it has a really out-there premise I’d love to take a look at. Great list! You should give it a shot, Ryan – this author’s books have always been original and compelling. the Hate U Give really was so great! I loved it. And I really want to read the Themis Files. I didn’t realise there was a third book, too. My library has the second on audio, but first I have to find time to read a print copy of the first book. The new one is due out May 1st – I was lucky to get an ARC from the publisher. This has been a fantastic sci-fi series. I have heard great things about The Hate U Give. I can’t wait to read it now.